The only person to challenge Governor Andrew Cuomo in the 2018 election is Republican Assemblyman Brian Kolb. He’s from Canandaigua, east of Rochester. The next opponent could come from west of Rochester. Joel Giambra was Erie County Executive (Buffalo and its suburbs) from 2000 to 2007. After a decade away from politics, he’s mulling a run for governor. In an interview with the Albany Times-Union, Giambra positioned himself as a potential moderate GOP candidate, a didn’t shy away from his previous support of Governor Andrew Cuomo, Hillary Clinton, and Attorney General Eric Schniderman. He also noted his reservation about President Donald Trump. 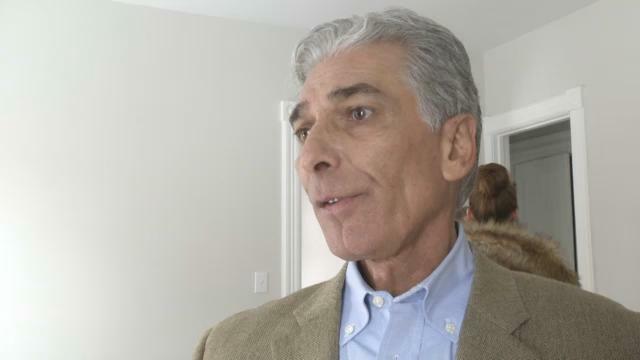 Early in his political career, Giambra was a Democrat, serving as Comptroller for the City of Buffalo under Mayors Jimmy Griffin and Anthony Massiello between 1990-1999. He then switched parties in order to run for Erie County Executive. In his time away from politics, Giambra was a lobbyist for Park Strategies, a firm started by former U.S. Senator Alfonse D’Amato, but he’s since left the firm.